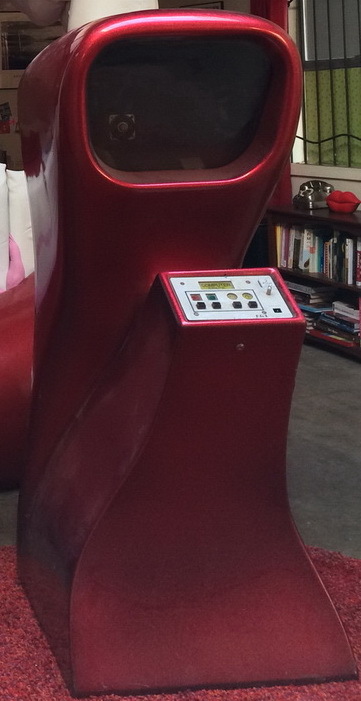 A Personal Collection of Arcade Games, information and stories! with keeping only really a small selection - so I like to keep the rarity high and the numbers low! [Rare european license from Exidy, this came from the Duke Of Lancaster! 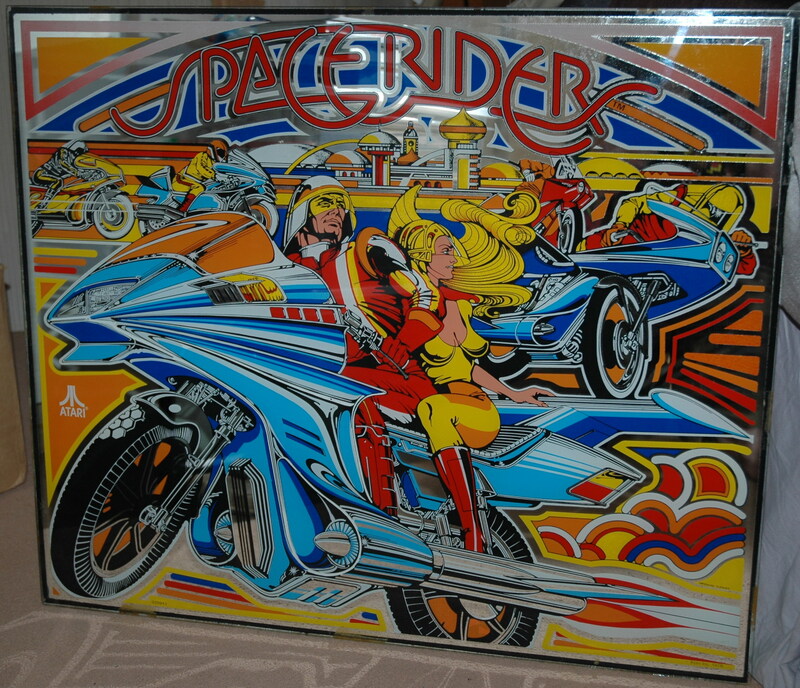 Atari Space Riders Pinball machine back glass. Taito Speed Race Color - 1978? [Ex-employee purchase from Atari in 1990. I usually post regularly to my FACEBOOK PAGE so pay it a visit and hit like to follow me for updates. I sell a lot of stuff on eBay as well as in my sprawling webstore, both of which you should visit. I stumbled across this 'elevator music' box and was fascinated by its design and the ungodly huge tape cartridges that it uses. Click thei mage to see a short page i made on what i found out. 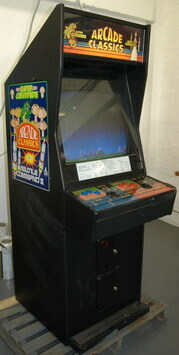 Check out my collection of original video arcade game Videos on YouTube! 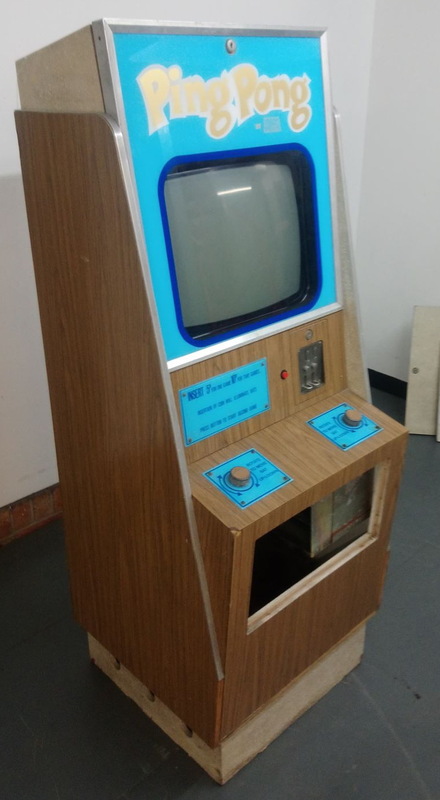 This is a pretty large set of pages covering technical Arcade information as well as information on test equipment, modifications to original hardware, contains DIP Switch settings and Pinouts for game that you can't find anywhere else on the net. Also included are game ROMs I have dumped and other pages i have created to help collectors with knowledge and modification fo their games! A lot of people know me from this page as its a pretty comprehensive cross-reference of Atari part numbers, pcb photos and manuals and stuff. Its also how I keep track of my collection of old b/w stuff. 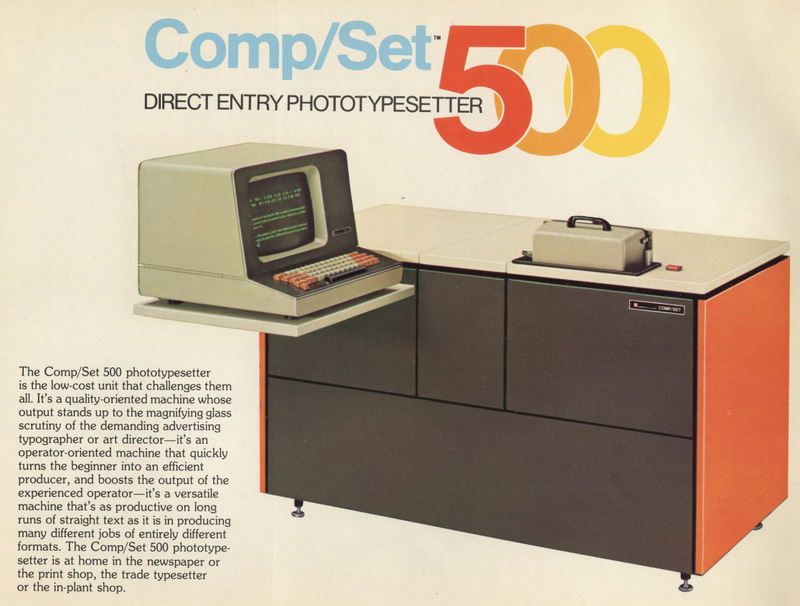 I used to own this machine, the story of obtaining it took a number of years to bear fruit. 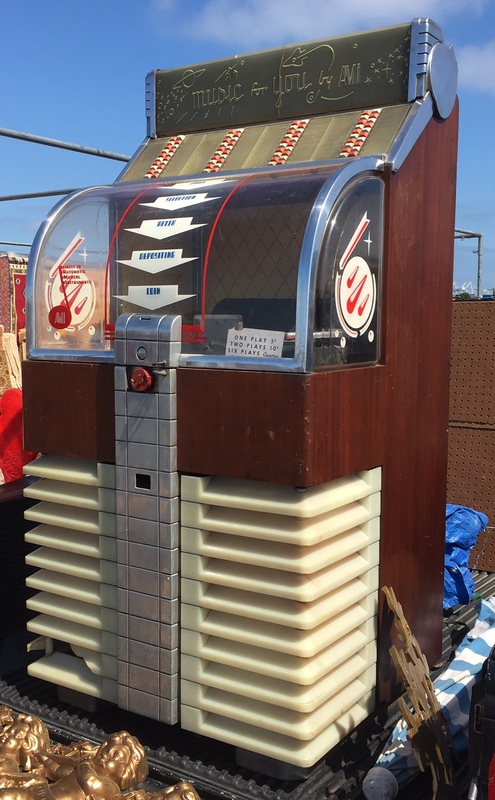 Sadly I had to sell the machine eventually, but I documented the story and photos etc, its a good resource if you come across one of these. 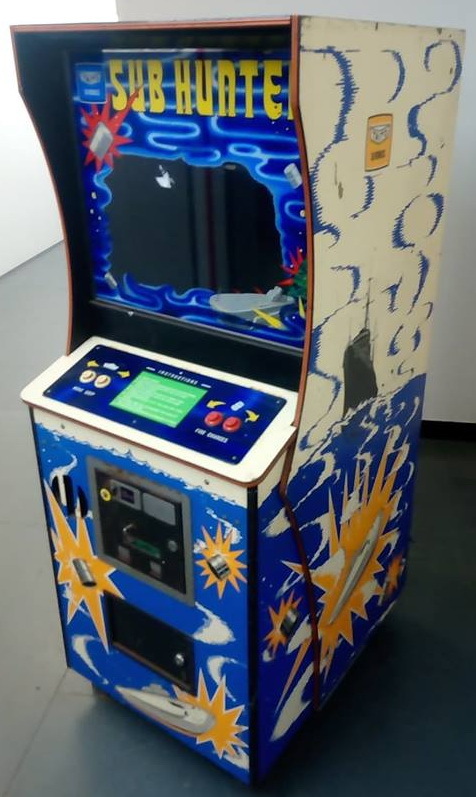 Midway Space Invaders PCB in a Taito cabinet?!? I've also left this page up and running as people do contact me every now and then about it, but it was sold off quite a long time ago. 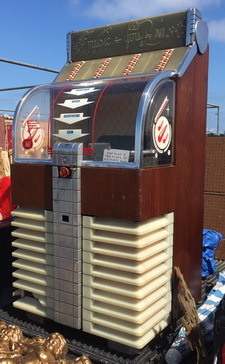 I can claim credit for locating and organizing a deal to get hold of this machine, the only genuine pilot/prototype machine found in the wild in Europe. Tricky and confusing subject, but i've had a go at trying to define some things. Knowledge is power! You can't fix anything without the right documentation, and i've listed the contents of what i have on these pages so i can keep track! Jon is another arcade collector I've been visiting stateside for the past 10 years, check out his site for arcadey stuff and some really nerdy vintage Apple ][ software stuff! I helped out the family with cataloging the videogame inventory that was left after Bob sadly passed away, here are all the details from that time..
A really old set of pages basically showing some of the horrible conversions that you see in arcade collecting circles, its pretty shocking how bad some of them were! Not updated in a long, long time. I got a chance to read and go through all the paperwork cabinets that came out of the Atari Ireland factory in Tipperary. Some of the folders I was able to scan. The whereabouts of the archive is currently unknown. I travel an awful lot. I work abroad a lot.. This means I fly a lot... I'm a geek, so I keep track of it, its a way of keeping me sane so I can remember where I was and when..
Black n white games are my thing, and i've been helping my pal on the east coast with his impressive b/w collection for decades now... so check out his site! I like to collect up old Reel to Reel tapes i find in junk shops and flea markets, when i find them interesting enough, i put them on YouTube! 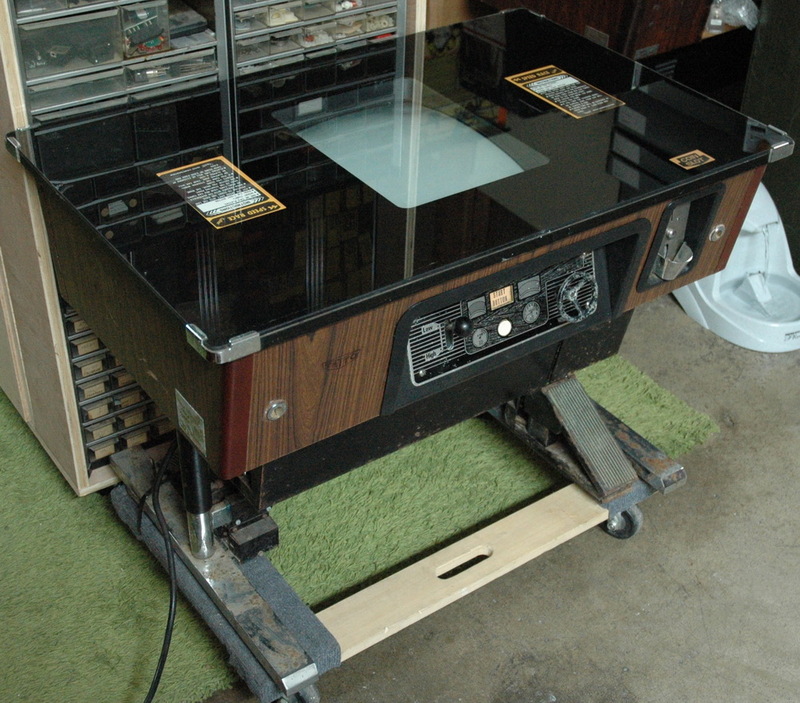 Some of the rarest things to collect are distributor test rigs. This page shows what have owned in the past and what I currently have, a good resource for comparisons. My grandfather certainly got around a bit during WW2, and there are so many untold stories of the people that fought in this conflict, this is my attempt at putting some information out there and doing some honour to him.